BabyBlueOnline: All bets are not off! Scientists compete to sneak Bob Dylan lyrics into journal articles! "We both really like Bob Dylan so when we set about writing an article concerning the measurement of nitric oxide gas in both the respiratory tracts and the intestine, with the purpose of detecting inflammation, the title came up and it fitted there perfectly," Weitzberg said. The four scientists quickly got in touch and a bet was made. "The one who has written most articles with Dylan quotes, before going into retirement, wins a lunch at the Solna restaurant Jöns Jacob," Lundberg explained. 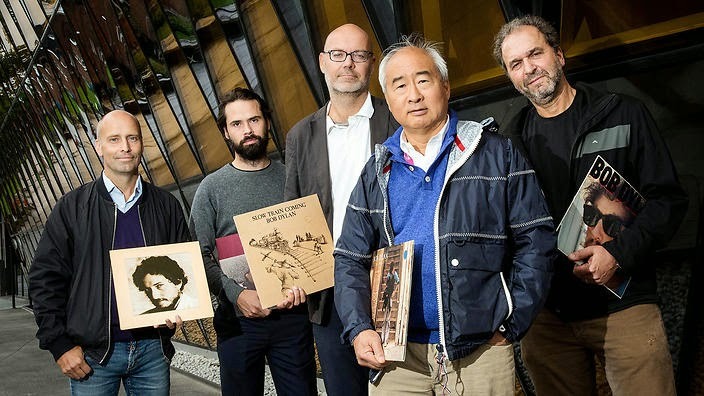 Weitzberg told The Local he didn’t want Dylan’s lyrics to detract from the importance of the scientists' work, but admitted that the competition so far has been fun. "We really are not the only ones who try to be smart and catchy in our headlines," said Weitzberg. "I would much rather become famous for my scientific work than for my Bob Dylan quotes... But yes, I am enjoying this."